Recently on “Sunday Night at the TSO”, host Kathleen Kajioka interviewed last-minute conductor replacement Kerem Hasan, who filled in for Louis Langree who was indisposed. Listen to what it’s like to get the phone call on Saturday, pack your bags and fly Sunday, and walk into rehearsal Monday. The program was Beethoven’s Symphony No. 3, Debussy’s Prelude to the Afternoon of a Faun, and Szymanowski’s Violin Concerto No. 1 featuring Christian Tetzlaff. A hefty program! 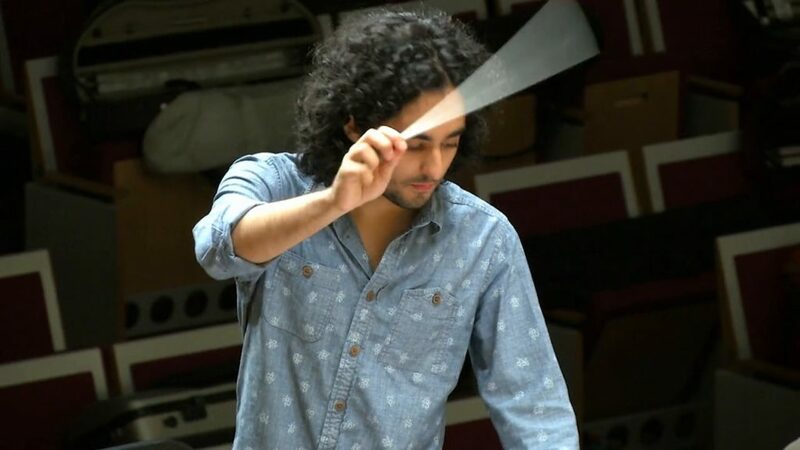 Kerem Hasan, from England, was just appointed Chief Conductor of the Tiroler Symphony Orchestra in Innsbruck, Austria. Kerem and Kathleen talk about what it’s like to be called in at the last minute, how to approach pieces that everyone knows in a new way … and the first music directorship of your career!